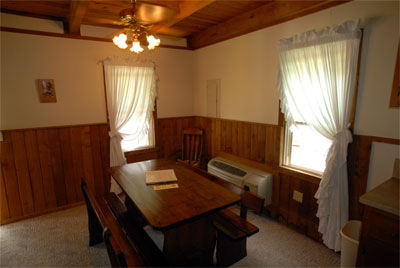 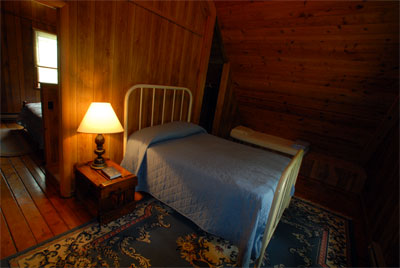 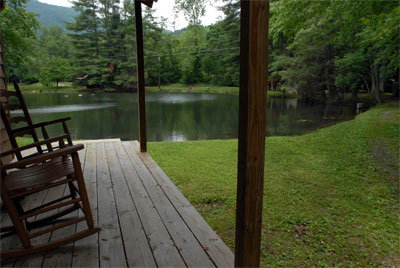 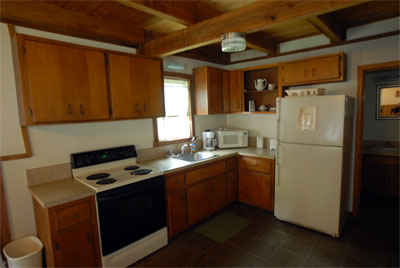 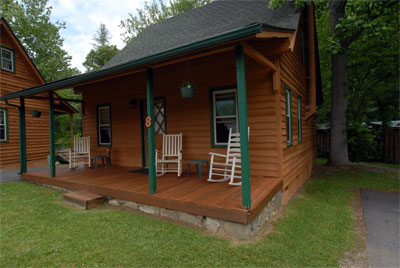 This 3 bedroom cabin sleeps 8 to 10 and has more room out the back than the other cabins. 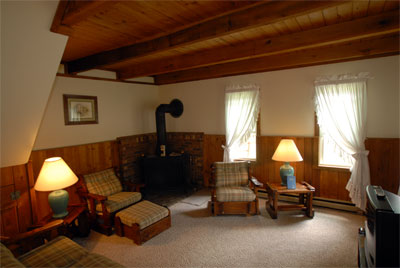 Full kitchen living room with fireplace and color cable TV, Master Bedroom down, two large bedrooms up, front and back deck. 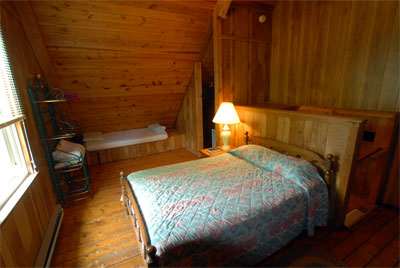 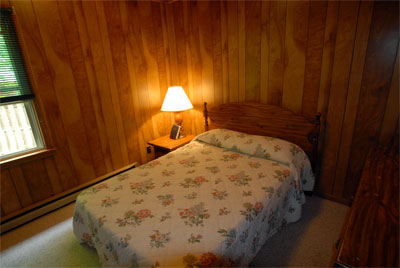 Downstairs bedroom has a double, up has one double and two singles in each room.